2 beds | 1.00 baths | 1,344 SQ.FT. Needs TLC. 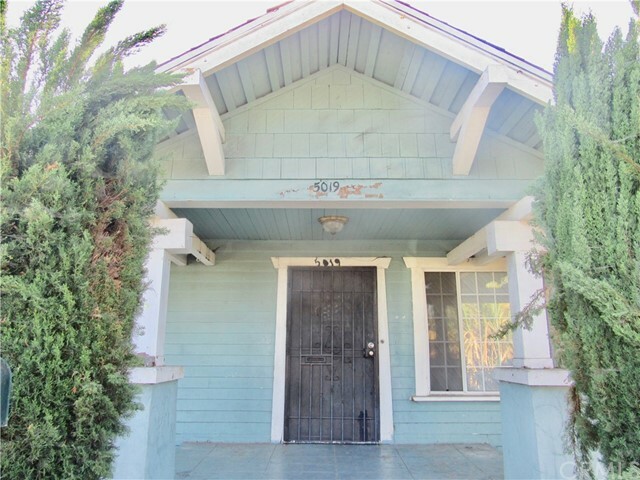 Bring Your Toolbox to this 2 Bedroom, 1 Bath Craftsman Home & You'll Have a Stunner. Features a large integrated living room and dining room area, spacious kitchen, good-sized bedrooms, and a long driveway. Property sold in its present as-is physical condition. Seller will not make any repairs. Great neighborhood with easy access to schools, amenities, public transportation Fwys 10 and 110 -- all just minutes away. Distance to LA Memorial Coliseum and Exposition Park only about 1.5 miles. Distance to the University of Southern California (USC) and the Natural History Museum about 2 miles. Will not last. Priced to sell!